Whatsapp messages leaked by local media reveal the President of the Legislative Council Jasper Tsang’s involvement in coordinating the pro-establishment side’s voting, raising questions with Tsang’s impartiality as the president. Pro-establishment walk-out during reform voting. Photo: Youtube. According to information revealed by Oriental Daily, the messages of the pro-establishment group was dated from 9:00am on Thursday until the voting at around 12:30pm. The messages also showed the pro-establishment side’s miscommunication which caused the 33 legislators to miss the vote. On Thursday morning, the messages showed that they were ready to vote as soon as possible. The messages also showed the side was concerned with forcing the remaining nine pan-democrats to give their speeches in order for the pro-establishment side to control the exact time of the vote. 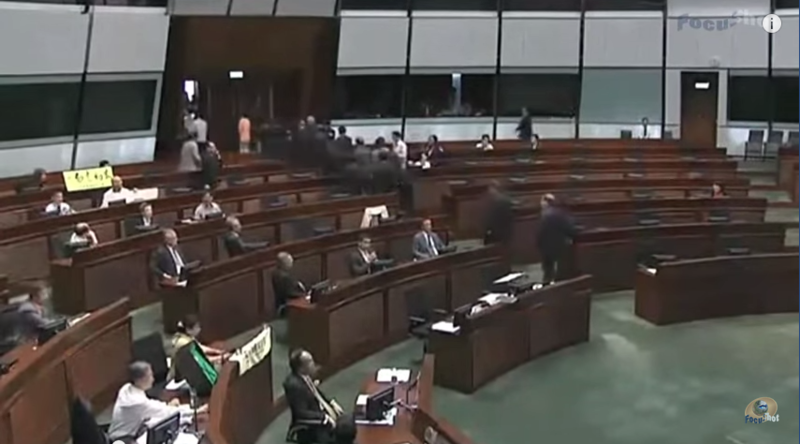 Near the time of the vote, there was no mention in the group by chairperson of the Business and Professionals Alliance (BPA) Jeffrey Lam Kin-fung that the pro-establishment side needed to wait for legislator Lau Wong-fat of the BPA to return for the vote. Neither was DAB’s Ip Kwok-him’s decision to lead the camp out of the chambers in order to force a 15-minute recess mentioned. Tsang clarified that he did not pass any information from the pan-democrats to the pro-establishment side and only clarified procedural details of the pan-democrats’ actions. Tsang said that it was not a case of the pan-democrats revealing secret information to him out of trust and him passing it on to the pro-establishment side. In response to whether he should resign, Tsang stated that he “would respect [legislators’] opinions.” However, Tsang reiterated that since he did not feel that he violated any rules, he did not believe he had to resign. Tsang also asked for the pro-establishment camp not to pursue the source of the leak as it may further widen rifts within the camp. However, Liberal Party’s honorary chairperson James Tien posted on Facebook that the “Liberal Party strongly criticises a ‘worse than a pig’ legislator who leaked the information, [the person] lacks one single bit of morality.” Tien previously described the legislators who left the chambers during the vote as “incurably dumb” along with a picture of a pig with glasses. DAB’s Ip Kwok-him also expressed his dissatisfaction with the leak. Ip considers the communication within the group as private and asked for the person who released the information to reflect on their decision. Ip has widely been considered as the “class monitor” of the pro-establishment camp. Legislator of People Power Albert Chan Wai-yip said that Tsang’s actions were in conflict with position of being the president of the legislative council. Chan said “if [the information] is accurate, Tsang should take responsibility and resign.” Chan also suggested he may consider moving a motion of no confidence against Tsang. The pan-democrats and Tsang met on Thursday afternoon. Convenor of the pan-democrats Alan Leong Kah-kit listed three requests to Tsang: explain in detail the Whatsapp incident, apologise to the public for failing to moderate the meeting in an impartial manner, and how to remain politically neutral in the future. 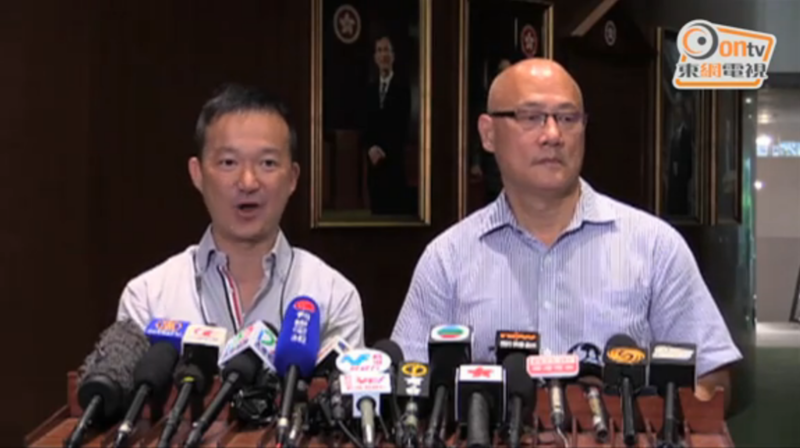 Leong cited Tsang as saying he will need time to seriously consider the pan-democrats requests. The president of the legislative council has to remain neutral and impartial during the meeting. By convention, the president also does not vote in the council meetings. The president is elected from the 70 legislative councillors. In 2012, Tsang beat Leong by 43:27 to become the president of the council for this legislature’s term. Jasper Tsang calling Albert Chan a thief reported in NextMagazine. Photo: Stand News. 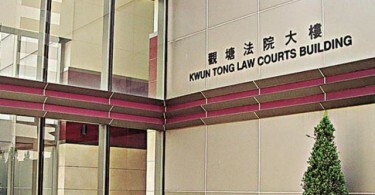 In a prior incident on Wednesday, Next Magazine revealed that Tsang described Albert Chan Wai-yip in a Whatsapp group as a “thief.” Tsang admitted the incident but said it was not meant to insult. 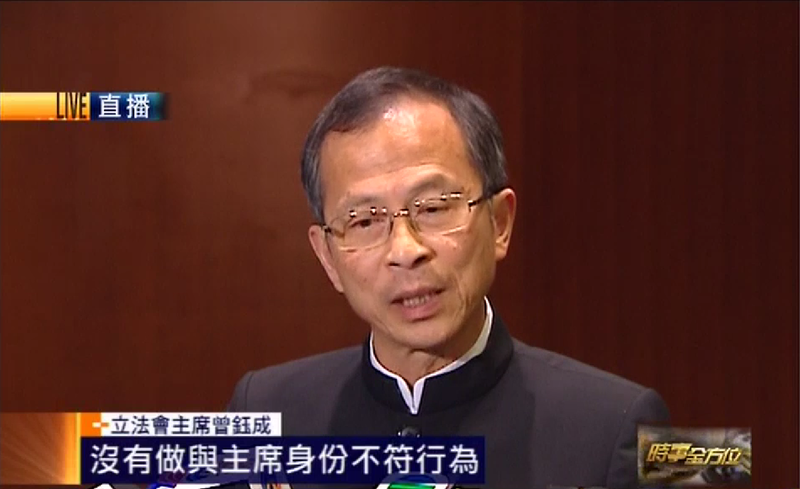 Tsang added that Chan was “happy” with the remark so there was no need to apologise.